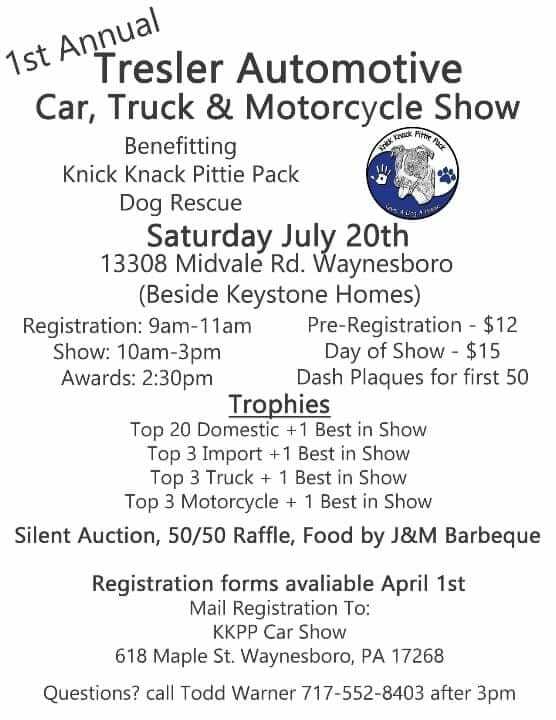 Proceeds benefit Knick Knack Pittie Pack. Registration forms will be available April 1st. Questions, please call Todd Warner at 717-552-8403 after 3pm.